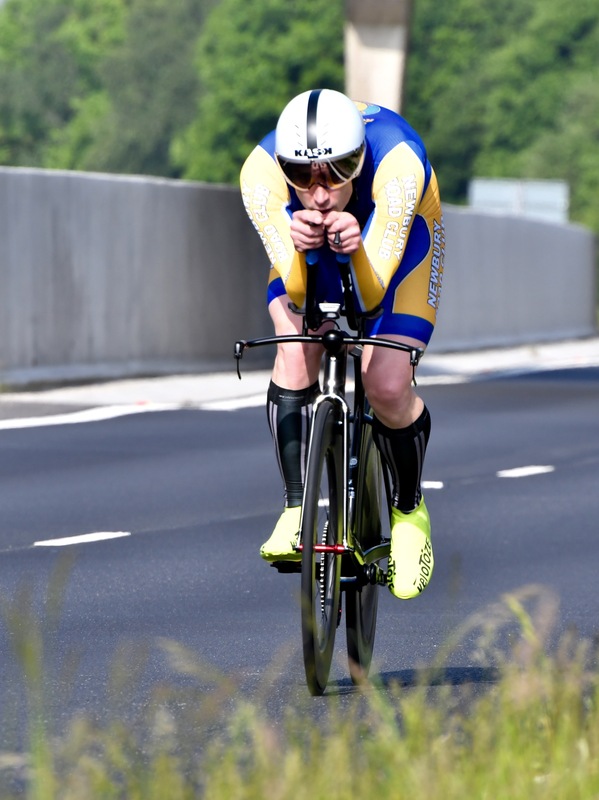 Great turnout for the annual Gary Dighton Memorial Open Time Trial on the P415/10 course today, which was won by Tim Cartwright of Newbury RC who set a cracking new course record of 18:40 at the same time! Gary would have been proud of how you smashed it up! If anyone wants to know what that ride looks like, check it out on Strava. Conditions were good and resulted in 33 out of 97 starting riders recording a new personal best. Photograph from the event will be published on the Poole Wheelers Facebook group in due course. The winner, Tim Cartwright, also received the Gary Dighton Memorial Trophy, and a bonus for a new course record! Note: each rider can only win one prize, apart from spot prizes. If a rider won multiple, the lowest valued prize category would be awarded to the next fastest rider in that category. Provisional results below, with official results published on the CTT website and the Poole Wheelers’ results database.